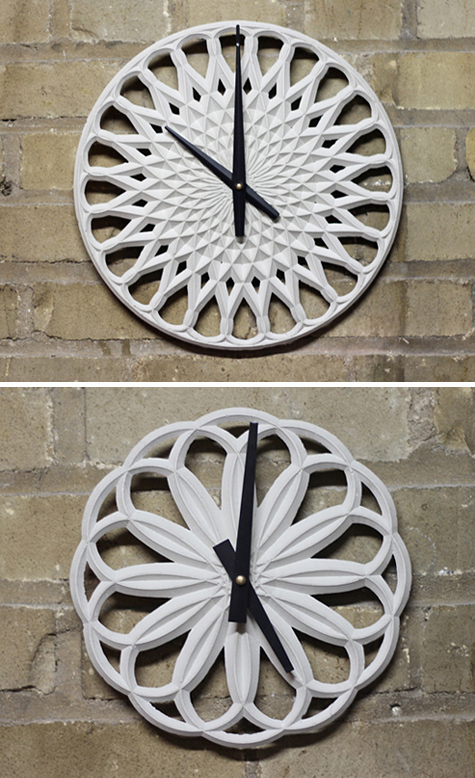 Inspired by radial geometry, Para Clocks by LeeLABS is designed using parametric software to create many variations of radial patterns based off of similar sets of rules. If their Kickstarter project reaches its goal, buyers will be able to use an app to create their own unique clock. Made of concrete - Nice!